Sarah graduated from the University of Wollongong in 2012 with a Bachelor of Laws and a Bachelor of Arts, majoring in English Literature. She completed her Graduate Diploma in Legal Practice at the University of Wollongong in 2013 and was admitted as a solicitor to the Supreme Court of New South Wales in August 2013. She has been admitted to the High Court of Australia and is a member of the Law Society of New South Wales. 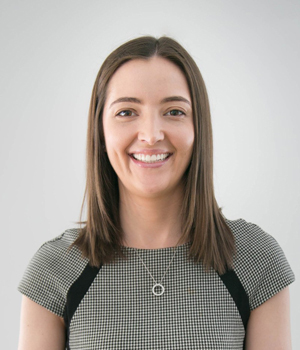 Sarah joined Verekers Wollongong Lawyers in 2013 and she joined Acorn Lawyers with the rest of the Verekers team. Sarah is an integral member of the Family Law team. Sarah has practised primarily in the Family Law jurisdiction since her admission. She has been well trained and has gained quality experience with Verekers which enables her to ensure that all of her matters meet the high standards of Acorn Lawyers. Sarah practises primarily in the area of Family Law. Sarah is experienced in a wide range of family law matters, including divorces, property settlements, and parenting matters. She can assist clients in the mediation process to negotiate and resolve parenting issues and property settlements. If the matter remains unresolved Sarah is experienced in representing clients in the Federal Circuit Court and Family Court of Australia.